Let’s face it: Suits aren’t exactly the first thing that comes to mind when you think of fashion. 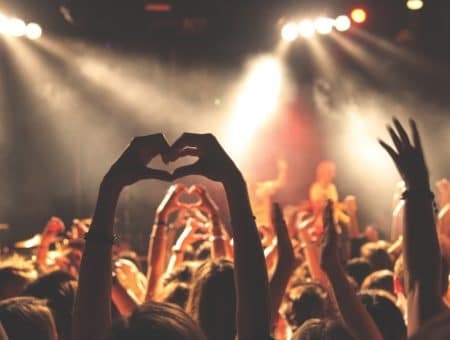 Moreover, if you’re like most college girls, you probably think of them as something that you have to buy for things like job interviews or formal meetings, rather than as something that you want to buy to wear for fun. 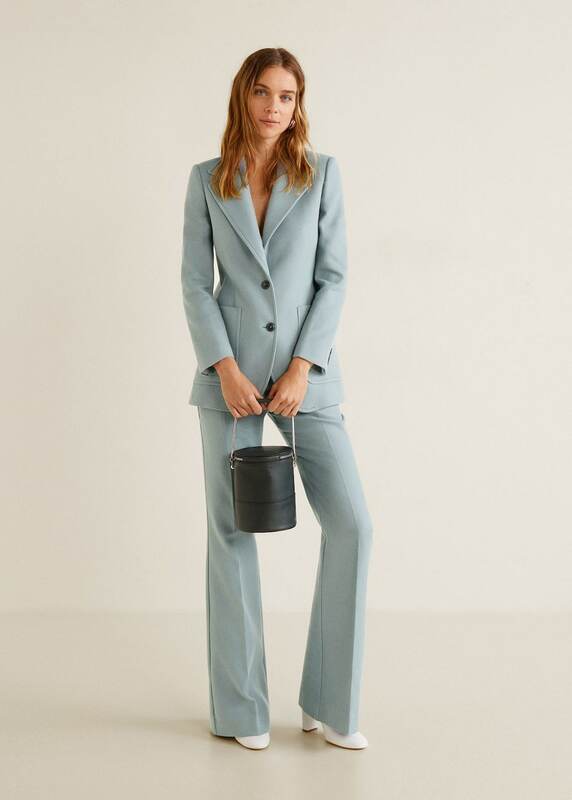 But, this year, suits are back in a major way, appearing in multiple iterations, from classic black pantsuits to retro-inspired oversized corduroy suits to Cher Horowitz-esque plaid mini-skirt suits, meaning that there are no more excuses to think of them as strictly business attire. And, while it does take a certain level of courage to wear suits in everyday situations, such as attending class or even meeting up with friends–after all, even more casual suits tend to have a certain level of formality to them–as far as I’m concerned, that challenging element is part of the fun of wearing this trend! So, if you’re interested to see how college girls can get in on the non-business-suit trend, just keep reading! When I first thought about writing this article, the first idea that came to mind was styling a pantsuit for a night out–because sometimes, you just want to stand out a little! To get the look, pair a classic black pantsuit with a trendy velvet camisole in a gorgeous shade of icy lavender that’s perfect for fall/winter. Next, put on a pair of slingback heels with a pretty bow accent for a little something extra. A studded black wristlet brings some edge to the look, while pretty pearl drop earrings and a beautiful ring are each a great way to add elegance as well. As for makeup, I decided to play off the color of the camisole by opting for an eyeshadow trio consisting of shimmery navy, lavender, and pale pink shades to play up the eyes, in addition to a sparkly lipgloss that works on every skin tone. For the second outfit, I decided to put together something significantly more casual for day, this time using a plaid pantsuit that can be dressed up or down, depending on the occasion. 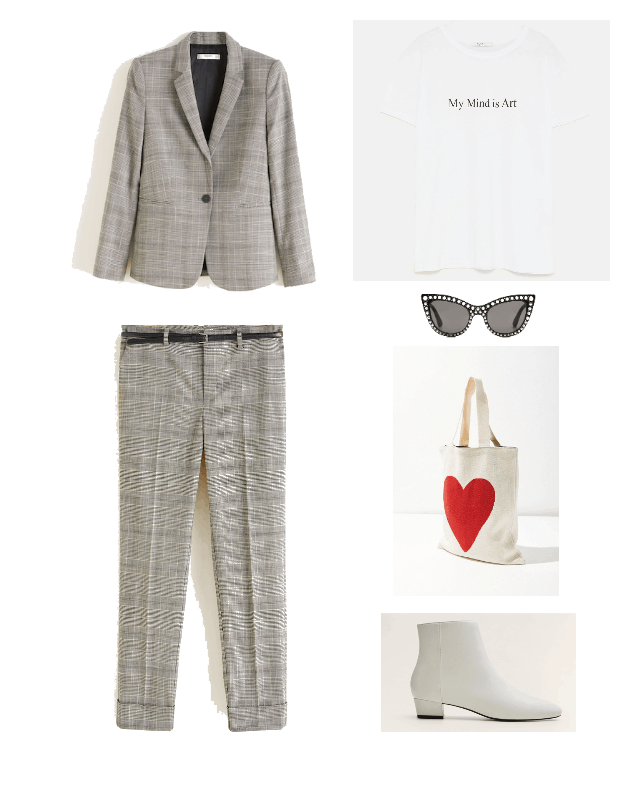 The key to getting the informal suit look right is not to overthink it, so if you want to try it out for yourself, all you need to do is to half-tuck a slogan t-shirt into the suit pants to up the laid-back vibes, and pair the outfit with super-cool white ankle boots. Then, add an adorable heart tote and some fun cat-eye sunglasses with faux pearls, and you’re good to go! 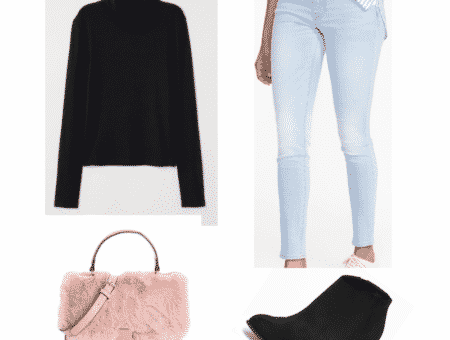 This final ’90s-inspired look strikes the perfect balance between career power woman and quirky-yet-chic, and can be worn in either more casual or more formal settings. Begin by styling a plaid mini-skirt suit with a simple black turtleneck (or, if you’re feeling bold, go for a bolder color, like fuchsia or cobalt blue!). Next, add a pair of black tights; make sure that they’re opaque to keep things looking modern and youthful, as sheer tights, when worn with skirt suits, will often make you look older and/or dated, which is definitely not the goal here! Flat ankle boots are definitely a good choice for this outfit, and I love the slightly tougher feel that this pair gives off thanks to their lug soles as a contrast to the suit’s more formal vibe. A forest green bucket bag with a gold clasp adds some sophistication, while artsy statement earrings (I love the face on these! ), a chunky ID bracelet, and a toggle necklace keep things from getting stuffy. What’s your opinion on the suit trend? Do you prefer pantsuits or skirt suits? Would you ever wear a suit outside of a formal work situation?